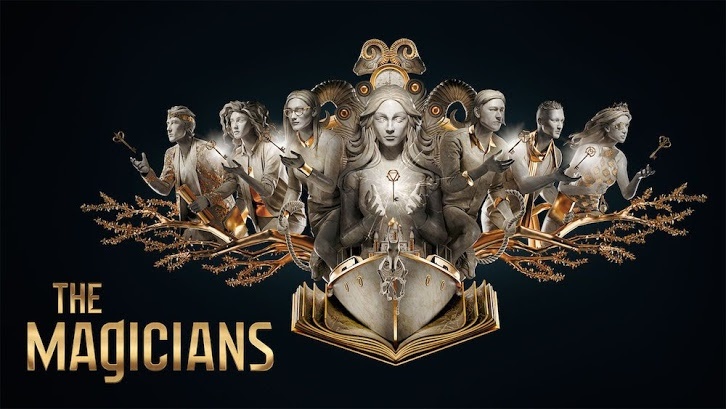 We here at When Nerds Attack were lucky to talk to the cast and showrunners of SyFy’s The Magician’s about the upcoming fourth season. With everyone but Alice having lost their memories, and Eliot now a monster (and really not Eliot), the cast discusses how their characters now have to navigate through their world, and how the past three seasons have changed their characters–for better or worse. The task last season was to gain magic back–but now it’s clear this season it will be to wrest control of magic away from the Library. But how will they manage? Watch the interviews and find out! Hale Appleman discusses what is in store (or what *isn’t* in store) for Eliot Waugh for season 4 of The Magicians. This includes playing the Monster, who may not be a monster after all — at least in his own mind. Stella Maeve discusses what’s in store for Julia in season 4 of The Magicians. She also speaks on the power of being a survivor, and that being a victim doesn’t mean that someone is damaged forever. Summer Bishil discusses what is in store for Margo in season 4 of The Magicians, how her character has grown over the seasons, and why Margo is so afraid to think of herself as a good person. Olivia Taylor Dudley discusses how things will be different for Alice now that she’s in Library Jail for season 4, how Alice wants to save her friends, and why what Alice did was completely justified. Jason Ralph discusses what it’s like for Quentin now that he doesn’t remember who he is in season 4, how his character has become something of an old soul, and the fan reaction to last season of The Magicians. Sera Gamble & John McNamara discuss what is in store for all our characters in season 4, their favorite episodes of last season, and give a fun spoiler for the upcoming episodes!